THE Consolacion Police Station has launched a program that prioritizes the health of its personnel. Chief Insp. Gerard Ace Pelare, the station commander, said the welfare of his personnel is as important as achieving the law enforcement’s goals. The DOH has been recognizing government offices that implement 100-percent tobacco-free environments through the Red Orchid Awards. In order to achieve the Red Orchid Award in 2019, Pelare said he introduced several activities to attain a competent and healthy police personnel in accordance with the active learning and growth of the Philippine National Police’s patrol plan. One of the physical exercises introduced was the “Station Run” that would make sure that all police officers will improve together at the same time. More runs are scheduled in the coming weeks. Early this week, the first Station Run was conducted with the group finishing the run in 15 minutes and 42 seconds. 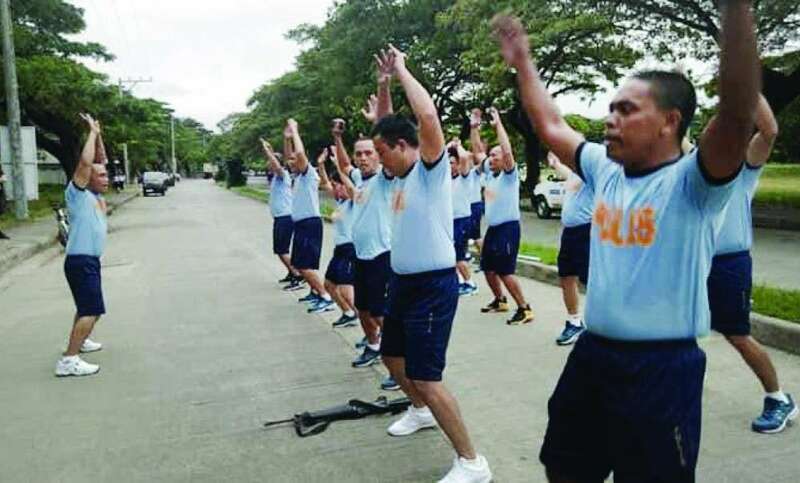 After the run, a memorandum of understanding (MOU) was signed between the police station and Xcaliber Muay Thai Fitness Club, which will give free lessons every month. The first free lesson by the club instructors was done after the signing of the MOU. Pelare said healthy officers are assets of the police.